Are there many animal jobs in the UK for graduates? Where can I find animal care jobs? How can I work for an animal charity? What animal care apprenticeships are available? How do I start a wildlife conservation career? What about volunteering and gaining work experience? If your love of animals and determination to make the world a better place for them to live is one of your primary interests, you'll find an assortment of careers to pick from. 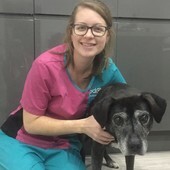 There are jobs involving caring for and treating animals directly, with veterinary nurse and veterinary surgeon both popular options - regulatory body the Royal College of Veterinary Surgeons (RCVS) has over 20,000 members in the UK. To become either type of vet, you'll need to hold a related degree that's approved by the RCVS. For these structured career paths, there's a step-by-step guide to joining the profession on its Veterinary Careers page. For instance, you could study the RCVS-approved five-year MSci Veterinary Medicine and Science at the University of Surrey and become a veterinary surgeon, or undertake a 29-month part-time undergraduate diploma in veterinary nursing at the Royal Veterinary College to become a practising registered veterinary nurse. The UK is home to 25 zoos, according to Britain Explorer. There are also a number of safari parks, such as Knowsley Safari Park in Merseyside and Blair Drummond near Stirling in Scotland. In terms of the work available, you could manage the day-to-day operations or ensure the wellbeing of the animals themselves. Typical roles include zoologist and zookeeper. In addition to taking on students and graduates to care for their animals, wildlife charities also require fundraisers to champion the good work they do. Among the more hands-on animal jobs are animal nutritionist, animal physiotherapist and animal technician. If you're looking to work on a farm or fish farm, you could choose to work as a farm manager, fish farm manager or fisheries officer. Read more about graduate opportunities in agriculture. However, there are many other careers working with animals, including joining the Army, processing animals in quarantine at airports and working in pet stores such as Pets At Home. To find out what roles are currently in demand, search all animal and plant resources jobs. For many animal care organisations, you can apply for advertised roles via their website. An example of this is Chester Zoo, which is on the lookout for an exhibitions and interpretation officer as well as a deputy curator of mammals. To be eligible for the latter, you'll require a zoological-related science degree or postgraduate qualification and experience of working in a zoo/safari park environment. The government's executive Animal & Plant Health Agency, which aims to safeguard animal and plant health, explains how its vacancies are advertised on the Civil Service jobs website. One agency role involves overseeing pets put in quarantine as they travel to and from the UK. If you'd like to become a veterinary technician for the Army's medical service division, you'll have to send in an online application via its website. Those who successfully make it through the application process will undergo 14 weeks of military training to become a soldier at its Winchester or Pirbright sites before progressing to the Defence Animal Centre at Melton Mowbray. Here, you'll learn veterinary nursing skills and register as a veterinary nurse with the RCVS. With a large number of animal charities in the UK, you'll find a wide range of jobs advertised on their websites. 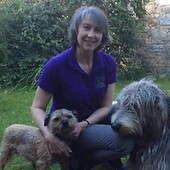 To give you an idea of what you could do if employed by the Blue Cross, you could choose to work on the clinical side (veterinary surgeon or veterinary nurse), rehoming (animal welfare assistant), fundraising, marketing and communications (database services officer) or strategic planning (data and insights analyst). It's similar with the other larger organisations in this sector, as the RSPCA (Royal Society for the Prevention of Cruelty to Animals) provides career profiles showing candidates the various careers they could go into. You could work at one of its animal centres or wildlife centres. An example of one career path is to started out as an animal collection officer, progress to an animal welfare officer and finally become an RSPCA inspector and save mistreated and abandoned animals. At the RSPB (Royal Society for the Protection of Birds), by checking its list of vacancies you'll see there are all types of roles. These include an opening for a woodlands warden to join its Celtic Rainforest LIFE project in Wales and a Dolphinwatch visitor experience officer to work on its Dolphinwatch project in Aberdeen. A growing number of animal care apprenticeships are being offered by all manner of recruiters, from local veterinary surgeries and animal charities to zoos and wildlife parks. The RSPCA has started, from August 2018, offering animal care apprenticeships in their animal centres, and they're keen to give young people from disadvantaged backgrounds the chance to start a career in this rewarding field. More unusual apprenticeships include becoming a dog groomer for Pets At Home, where you'll spend 13 months working for its Groom Room business. The pet supplies retailer also offers apprenticeships at Levels 2 to 7 in its support office and distribution operations, where you could focus on an area such as customer service, finance, human resources, warehousing, supply chain or marketing. There's also the chance to work in animal care for the Army and gain a Level 2 (Advanced) qualification. With TV programmes like the BBC's Dynasties wildlife series highlighting the need to protect the earth's dwindling resources and ensure threatened species can continue to live alongside humans in their natural habitats, wildlife conservation is certainly an issue that's been brought to the fore in recent years. It's not just in Africa and other far-off places that require workers to champion these causes as there are many opportunities to work in this area within the UK. As a major employer in the field, the Wildlife Trusts is looking for conservation officers to tackle planning issues that concern the nation's wildlife and landscape. Alternatively, you could become a fundraiser for the charity organisation. Also, the part-time countryside assistant position is an entry-level role that would give you the opportunity to work outdoors and share knowledge of the countryside. The World Wide Fund for Nature (WWF) has a number of vacancies, including a senior PR manager role working for the Our Planet documentary series - a collaboration between the WWF, Netflix and Silverback Films. They also have a need for a sustainable diets manager to promote awareness of sustainable food production to protect nature and the world around us. This is a postgraduate level position for someone with knowledge and understanding of sustainable and healthy diets. Most of the animal care charities take on volunteers throughout the year, so if you're looking to enter the profession and gain experience while still at university, visit the websites of organisations you're most passionate about. For instance, those aged 16 or over can work for the National Animal Welfare Trust at one of its animal rehoming centres. During a two-week placement you could be working with cats, dogs and other small animals in preparation for a future career as a vet. The British Wildlife Centre in Surrey offers one-week placements for students on a recognised animal management course. The Game & Wildlife Conservation Trust accepts university placement or sandwich students to work with them for a year. They take on around 14 students who are tasked with studying insects, mammals and birds. They also host research projects from Masters students at selected universities. There are also many volunteering opportunities available both in the UK and abroad. To read more about what's available, see volunteering with animals.